Escape to a place where dreams are realized, thoughts become clear, and deep relaxation is achieved. Teen relaxation music created by Stress Free Kids founder Lori Lite and composer David “Taho” Jacopin helps to create a world where synthesizing beats merge with hang drum, guitar, didgeridoo, and sitar are aligned to decrease stress, anxiety, and anger. 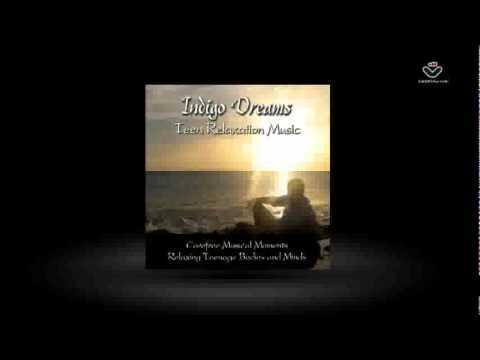 Indigo Dreams: Teen Relaxation Music is designed to appeal to the teen listener. Teen-friendly beats and sounds of nature help to achieve a deep state of relaxation and sleep. The hang drum, guitar, didgeridoo, and sitar create a relaxation oasis, where dreams are realized, thoughts become clear, and deep relaxation is achieved. Indigo Dreams: Teen Relaxation Music is a full hour of music designed to help teens stop the stress and chatter in their heads. It is easy for teens to imagine drifting out to sea with Breezy Point, strolling a city street with SoHo, falling in love with Park Slope, and watching the world walk by in slow motion with Tribeca. Teenagers listen to calming music created by Stress Free Kids founder, Lori Lite and composer David Jacopin as they team up to help create a world where synthesizing beats merge with hang drum, guitar, didgeridoo, and sitar. Each 15-minute music only track (not instructional) presents teen-friendly beats and sounds of nature to help achieve a deep state of relaxation and sleep. This album is also available as an mp3 download. A recent study by the Partnership for a Drug-Free America showed that 73 percent of teens report the number-one reason for using drugs is to deal with the pressures and stress of school. Do not underestimate the impact of stress on teens. Introducing our teens to simple relaxation, stress management tools like music can change their lives.